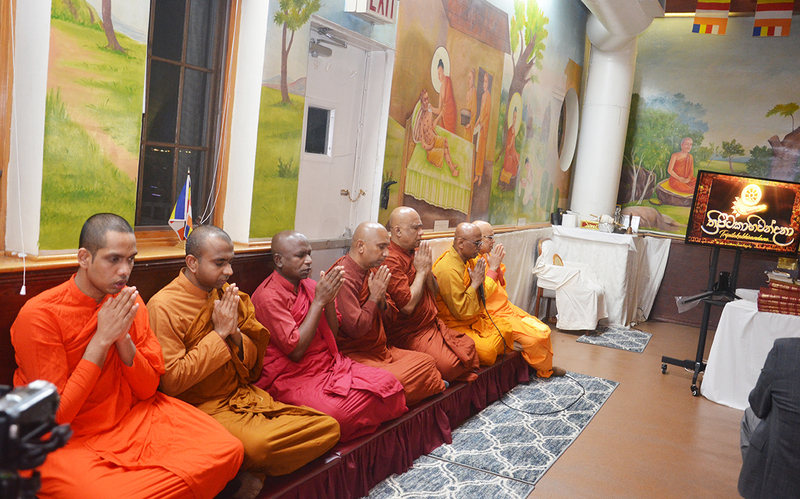 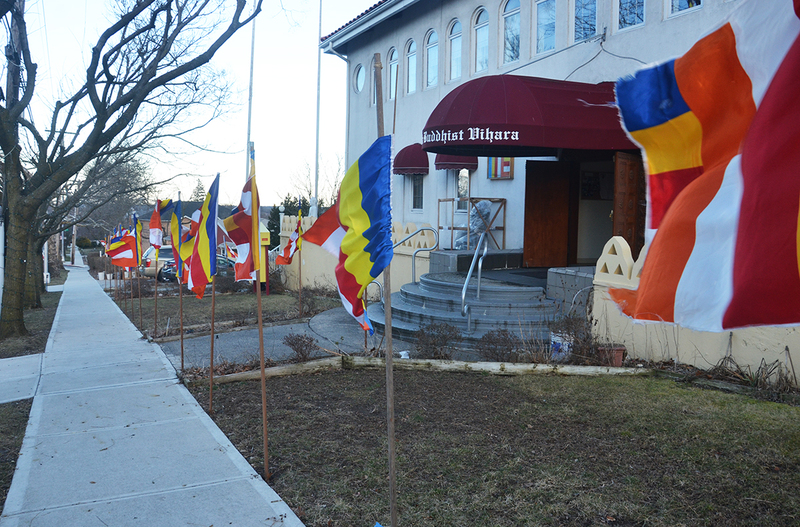 The Venerable Maha Sangha of the Sri Lankan Buddhist temples in the tri-state area, from the New York Buddhist Vihara, the Staten Island Buddhist Vihara, the Long Island Buddhist Meditation Centre, the New England Buddhist Vihara and Meditation Centre (Boston Buddhist Vihara), and Connecticut Buddhist Vihara chanted blessings at the event. 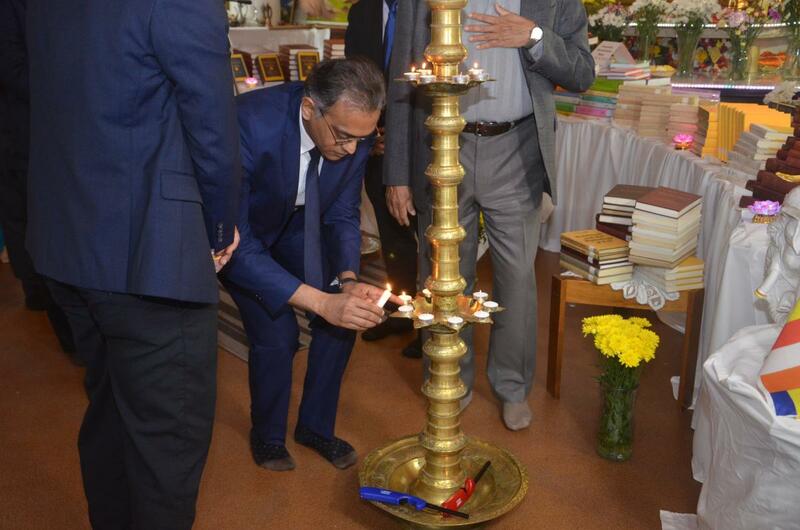 The Buddha pooja was conducted by Ven. 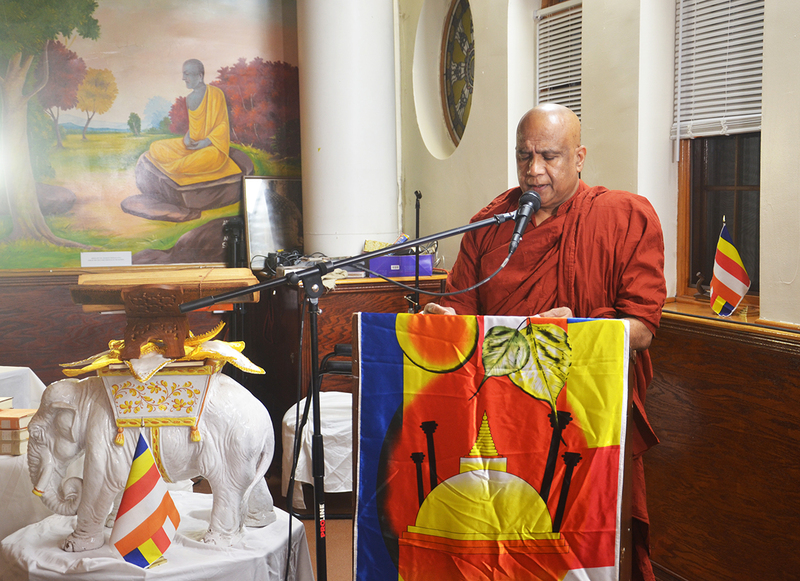 Heenbunne Kondanna thero of the Staten Island Buddhist Vihara and the welcome address was delivered by Ven, Aluthgama Dhammajothi thero of the New York Buddhist Vihara. 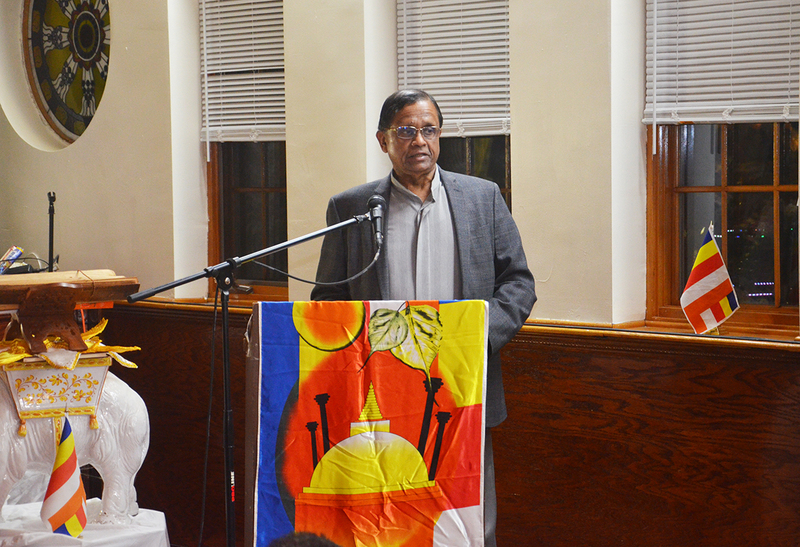 In his opening remarks, Dr. Rohan Perera, Permanent Representative of Sri Lanka to the United Nations highlighted the initiative spearheaded by the President of Sri Lanka to include the “Thripitaka” in the UNESCO register, whereby these Buddhist scriptures would be protected for future generations. 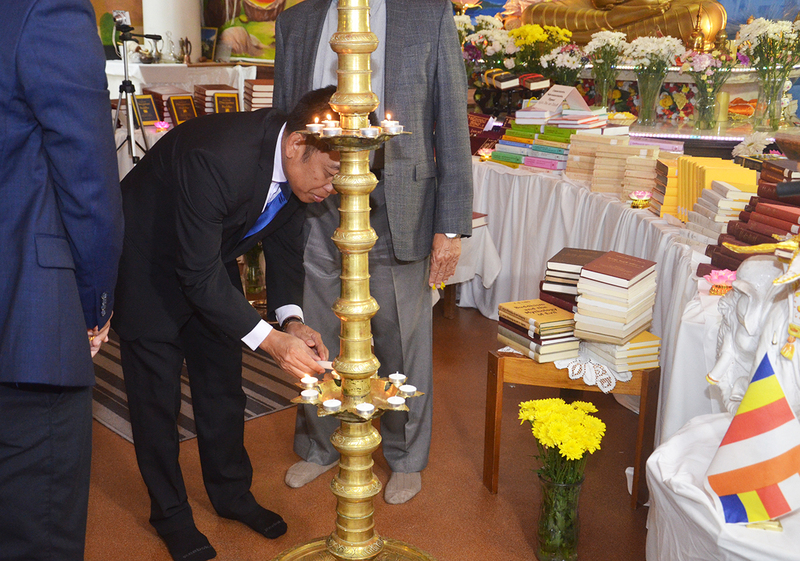 Dr. Perera also highlighted the history of how the “Thripitaka” was committed to writing during a time of great famine during the reign of King Valagamba and called upon everyone to protect this heritage by supporting Sri Lanka’s initiative to have it inscribed in the UNESCO register. 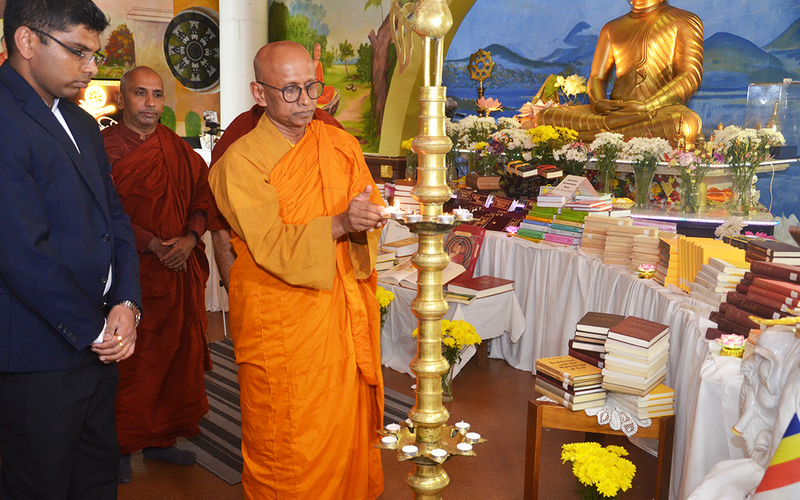 Delivering the sermon on the significance of the “Thripitaka”, Ven. 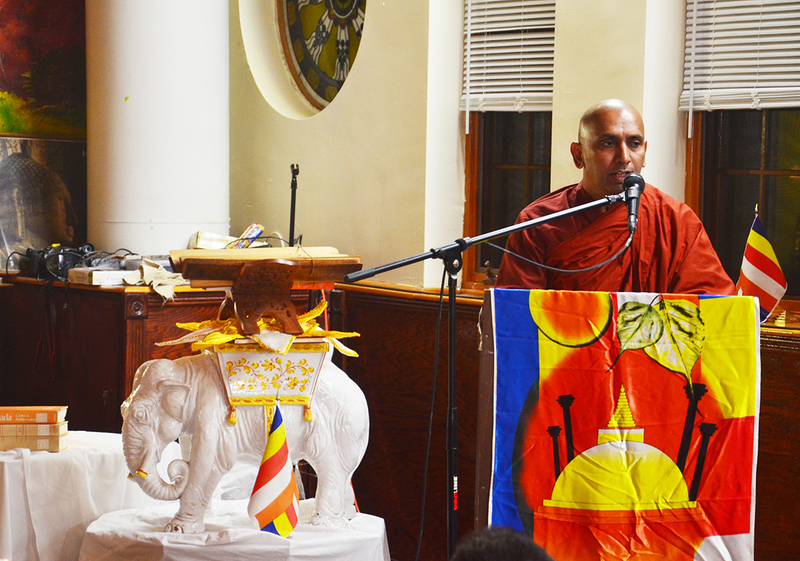 Kurunegoda Dhammaloka thero of the Connecticut Buddhist Vihara expounded the essence of the “Thripitaka,” drawing a comparison with modern day science. 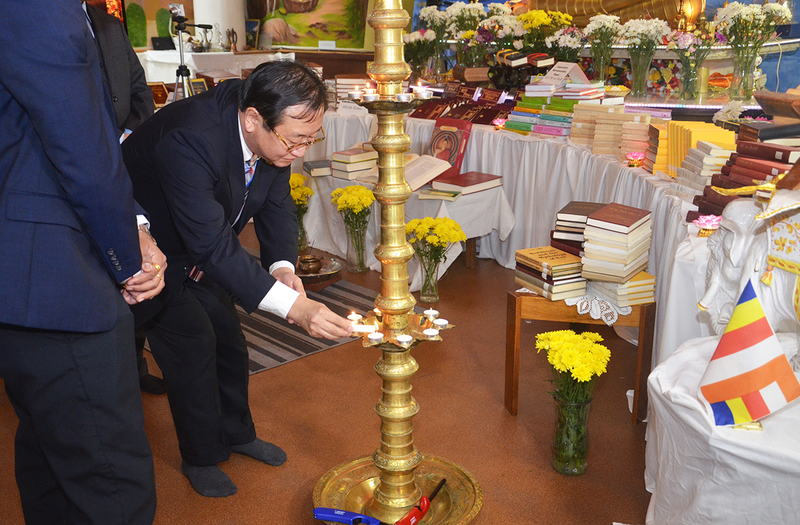 He also illustrated the universal relevance of the “Thripitaka” to all human beings, as it provided guidance on matters such as accepting diversity, living in harmony, building friendship and to how free oneself from worry and anxiety and achieve a sense of confidence and calm. 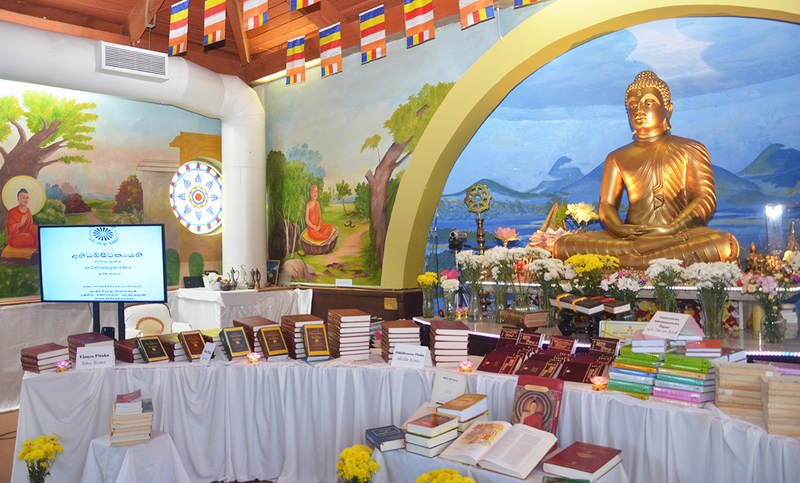 As such, the venerable thero stated that that the “Thripitaka” should not be limited to a group of people but must be accessible to all mankind, to enable them to benefit from the teachings of the Buddha. 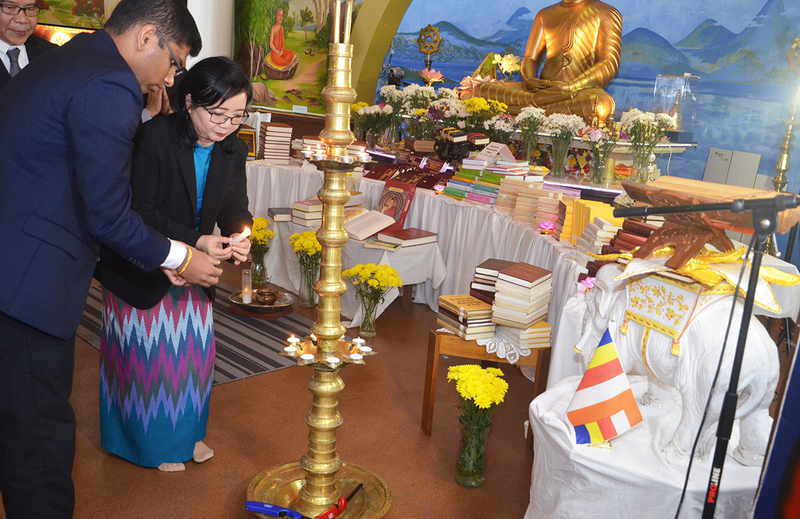 It was therefore essential, he emphasized, that the “Thripitaka” be preserved as a world heritage for the future of all people. 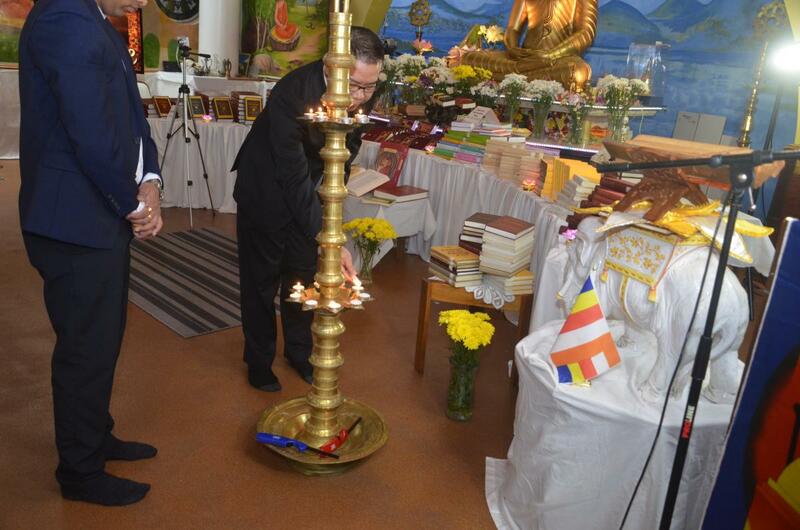 Given the significance of inscribing the “Thripitaka” as world heritage to Buddhists the world over, several representatives of diplomatic missions based in New York participated in this meritorious act. 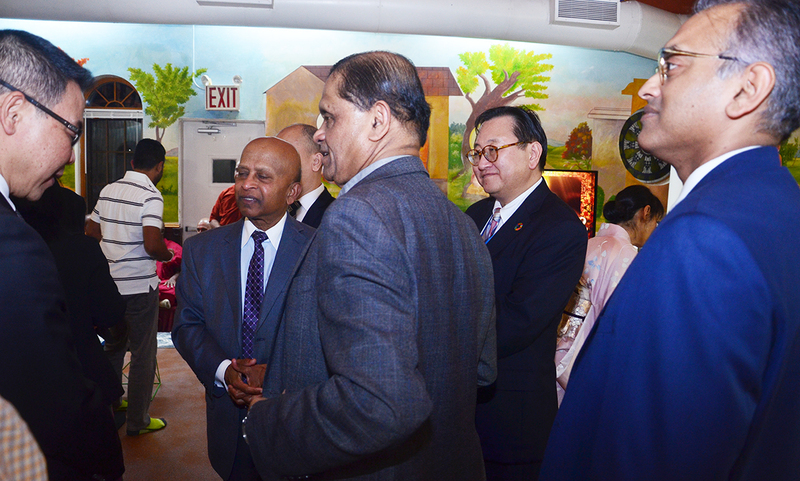 These included the Ambassadors and Permanent Representatives of Vietnam and Cambodia, Charge d'Affaires of India, Deputy Permanent Representatives of Japan, Myanmar and Thailand and diplomatic staff from the Philippines, Singapore and Indonesia, among others. 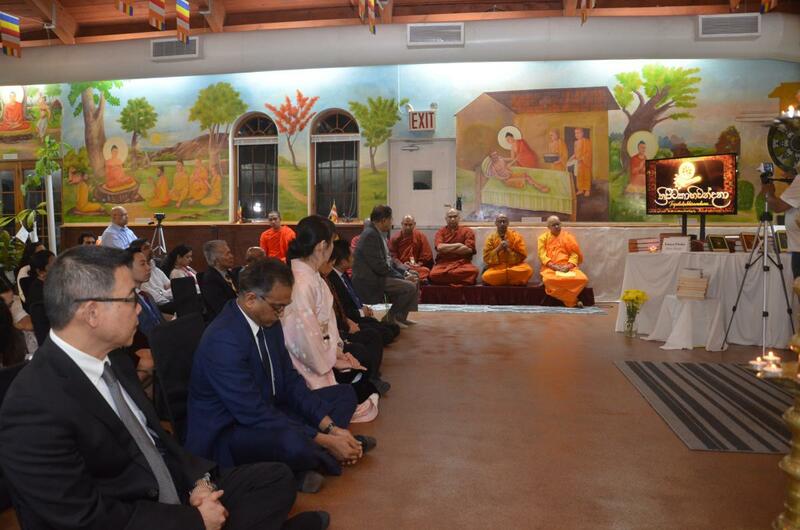 The event concluded with the presentation of “heel dana” to the priests by the Permanent Representative and staff of the Permanent Mission of Sri Lanka to the United Nations.